Totowa, NJ - Kathy Duva, Main Events CEO, announced their promotional firm won the purse bid held at IBF headquarters in East Orange, NJ, Thursday. The bid was for the right to hold the IBF's junior welterweight title fight between Zab Judah of Brooklyn, NY and Las Vegas, and South Africa's Kaizer Mabuza. IBF Championships Chairman, Lindsay Tucker explained, "It is a 50-50 split of the earnings between the two fighters. Kaizer is ranked No. 1 by the IBF, and Judah is No. 2. Where the fight will be held is up to the winning bidder." Kathy Duva confirmed the fight will take place at Prudential Center in Newark, NJ, late February or early March this year as part of Main Events' Brick City Boxing Series. "We are very happy that Zab has the opportunity to fight for the IBF Junior Welterweight title right here in New Jersey. Winning this fight will put Zab right in the mix with the winner of Bradley-Alexander and Amir Khan." 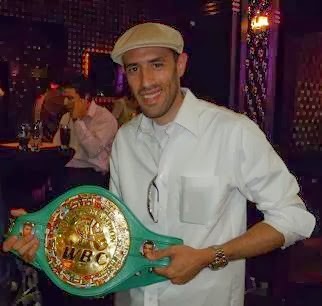 Duva elaborated, " Zab will work very hard to win this fight so that he will be one step closer to his ultimate goal of unifying all of the Junior Welterweight titles by the end of 2011!"